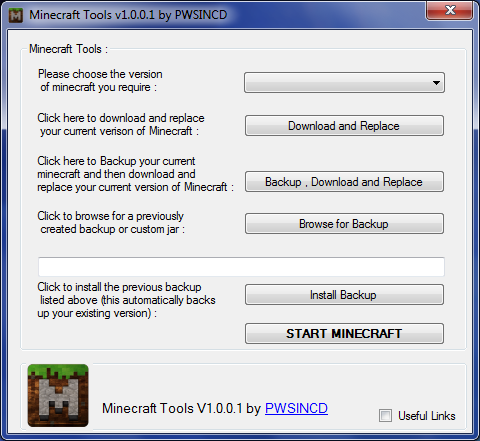 Simple Tool to change the version of your minecraft install , with backup and reload facilities. Setup requires .NET 4.0 , but will prompt you and redirect you if you require it. APP HAS BEEN DISCONTINUED. APOLIGIES. 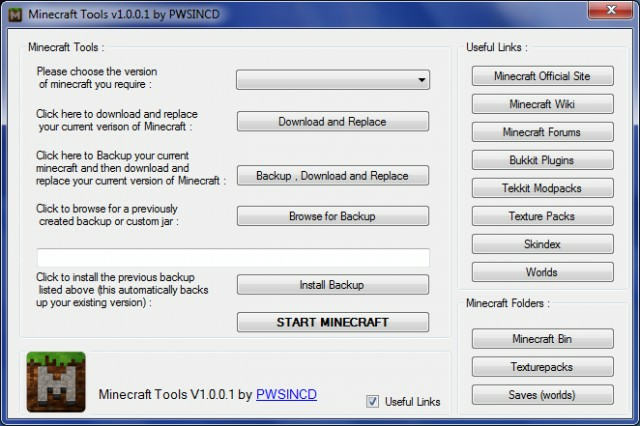 v1.0.0.1 included quick weblinks to useful sites and minecraft folders. NO SUBSEQUENT UPGRADES WILL FOLLOW.